Lots of exciting news was unveiled during the Las Vegas Diamond Convention, and much of that news is related to the app world. One of these items is the new HELO Fit App, designed by WOR(l)D for the needs of sportsmen and those who love physical activity. WOR(l)D embraces a new area that extends the boundaries and possibilities of HELO and meets the needs of all who care for their well-being and love fitness and physical activity. 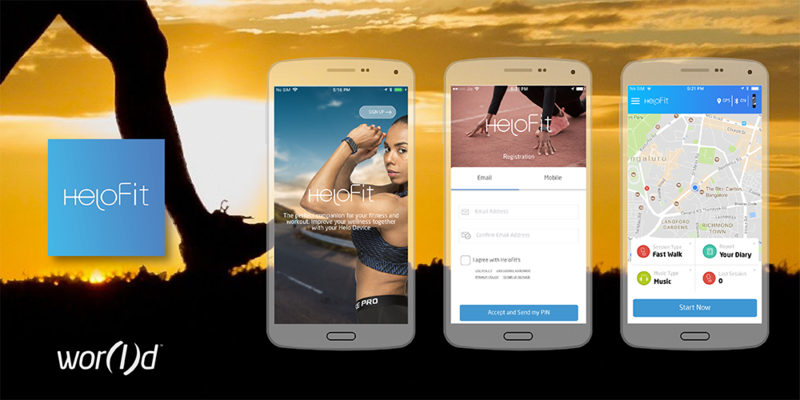 Beginning today, the HELO Fit App is available at HELO App Store, at the Google Play Store and soon also at the Apple App Store. This is the first step toward the integration of new algorithms for HELO data recording and new and more comprehensive information regarding the physical condition of those who wear HELO. We want to give good support to those who will utilize HELO to monitor the progress and effectiveness of their workouts. We believe in this app, and we are sure that more athletes around the world will soon be grateful to WOR(l)D.